Lance McCullers Jr. will not be pitching for the Houston Astros in 2019. The Astros announced on Tuesday the 2017 All-Star underwent Tommy John surgery this week and will miss next season. He is expected to make a full recovery. McCullers threw a career-high 128.1 innings during the regular season in 2018 and struck out 142 batters while posting a 3.86 ERA. 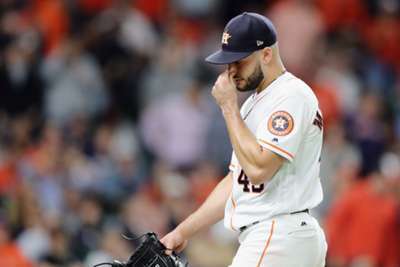 He suffered what the Astros called "forearm discomfort" in an August start against the Los Angeles Dodgers and missed the next month of the season. He came back to pitch in September and during the playoffs, but he only was able to come on in relief. Houston will now be without McCullers and possibly left-hander Dallas Keuchel in 2019. The Astros extended a qualifying offer to Keuchel, who won the 2015 American League Cy Young Award, but he is likely to turn it down. Charlie Morton did not receive a qualifying offer.